UE Category information is used to allow the eNB to communicate effectively with all the UEs connected to it. 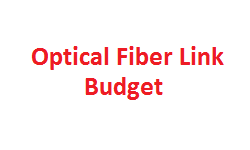 The ue-Category defines a combined uplink performance capability and downlink performance capability. The UE devices like Mobile handset, dongle or other equipment are to be specified with the supported UE category, so that consumer has an idea of capability of the device before using that particular device. 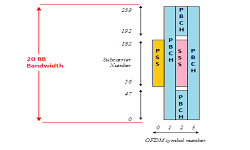 There is single UE category upto Rel 11 which defines both the DL throughput performance as well as UL throughput performance. 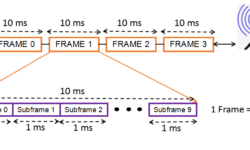 But in Rel 12, this single category definition got decoupled into two individual categories, where ue-CategoryDL defines the DL throughput performance and ue-CategoryUL defines the UL throughput performance. And different combinations of ue-CategoryDL and ue-CategoryUL are supported giving more flexibility in terms of choosing the DL and UL requirement. 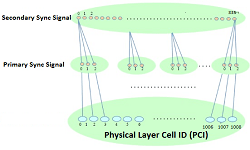 The fields DL ue-Category and UL ue-Category define downlink/uplink capability respectively. And there are defined combination set of DL ue-category and UL ue-category which are possible. 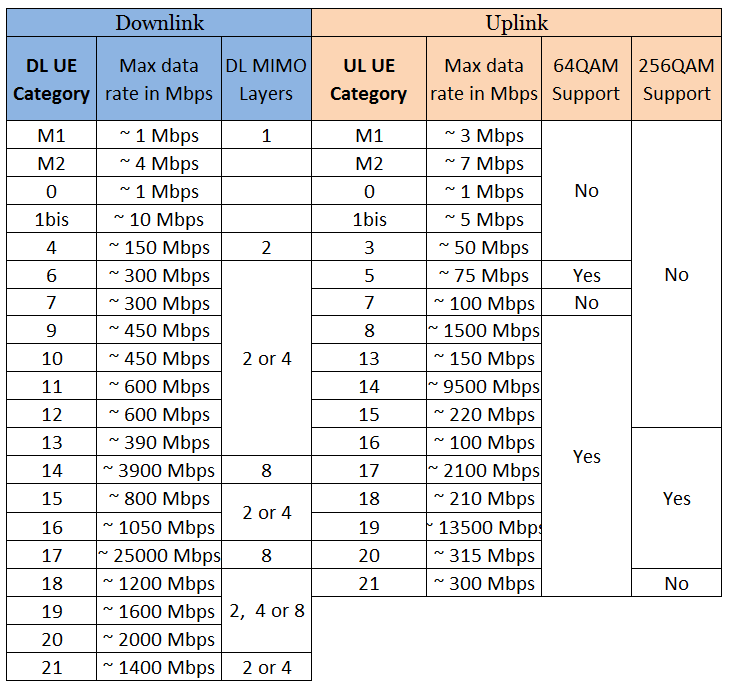 Below tables defines the only combinations for UE UL and DL Categories that are allowed to be signaled with ue-CategoryDL and ue-CategoryUL. It also defines which UE Categories a UE shall indicate in addition to the combinations for UE UL and DL Categories.